Tomorrow (3/11) we’re playing an acoustic in-store at Amoeba Music in San Francisco at 3pm. So if you didn’t get tickets to our sold out show at Bottom of the Hill, you’ve got another chance to see us play. And if you did get your tix, you can treat yourself to a double dose of TNT. 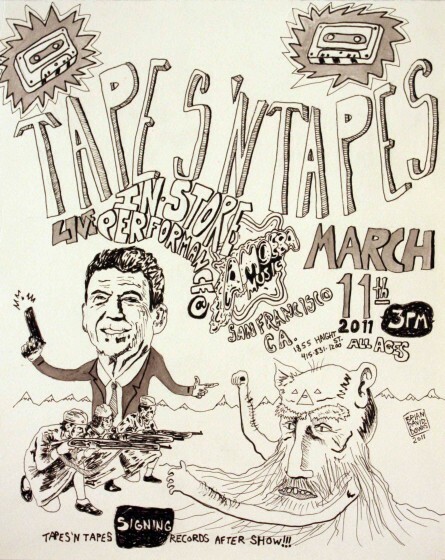 Just head on down to the coolest record store in the world tomorrow afternoon, and join us for some fun in the Haight. See you tomorrow, San Fran.